STMCC has been operating for over 20 years providing Tasmanian RC drivers with a great place to race. We are located in the Hobart suburb of Goodwood in the MMACA Model park. ​Race meetings are held on the First and Third Sundays of each Month. The Southern Tasmanian Model Car Club is pleased to announce the 2018 RCMAKER AARCMCC EP10 On-Road Tasmanian Titles will be held from Friday 8th March-Sunday 10th March 2019 at our track located at the Goodwood Model Park. There have been a number of photos from the STMCC's past uploaded to our Google drive account. There will be more to come, including State titles, old Newsletters and features on some old cars that have popped up. 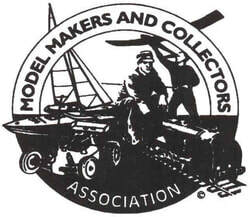 The Southern Tasmanian Model Car Club now has it's own YouTube Channel!! Keep an eye out for new videos taken by our members uploaded for your viewing pleasure. Having our own YouTube Channel opens up the exciting possibility of being able to do Live Streaming of races or Events such as our annual State Titles event. Click the YouTube logo to be taken to our channel. STMCC is now using the latest version of the Alycat timing software, V9.5. This provides us with a more stable program as well as some new features for us to explore. Use of Alycat 9.5 has now seen the return of Online entry capabilities. Keep an eye out for when entries open for each race meeting (Posted on Facebook) or check the link below. Ensure your transponder number is correct when your entry is placed. Lee Harvey and David Rush will be running their Xray chassis in 13.5. John Batich will be representing us with his Xray in 21.5, while Leo Lorenzen will be doing double duty running his Team Durango in 13.5 and his Xray X1 in the F1 demonstration class. The 2015 STMCC Cup has been run and won, with all competitors agreeing it was a great event and a fantastic way to end the year. Lee Harvey was at his usual dominant best, TQ'ing in TC-1, TC-2 and Formula One as well as taking all four heat wins in those classs. TC-1 consisted of a small field of 3 cars. Kye Gelston put up a challenge to Lee Harvey in the early laps, but just couldn't live with the speed and consistency of Harvey. Leo Lorenzen had a day of difficulties with his electrics, sitting out the first two heats while trying to trace an issue, eventually changing motor and ESC to complete the day. TC-2 had a very competitive field of 9 cars, although none could get close to Lee Harvey. David Rush had a consistent run to second place for the day, but threw away a sure win in the third final after inheriting the lead when Harvey got tangled up in lapped traffic. Third went to Matthew Wollington who enjoyed a close fought battle with Adrian Gray in the third final until losing the battery from his car. TC-3 continued the recent battles between Xray drivers John Batich and Kye Gelston. Batich took TQ honours and continuing on to take three wins from four finals to take victory from Gelston. Kim Dare had a solid run to third. Formula One was fought out between Lee Harvey and David Rush, with Harveys pace just proving to be too strong. Late entrant Kim Dare managed to take a suprise third place for teh day with a very solid run. Adrian Gray and John Batich had a difficult day, Gray wiithdrawing his car with major handling issues and Batich breaking numerous parts on the debut run of his new Street Jam. Mini was dominated by Matthew Wollington (also TQ), only being headed briefly by Kye Gelston in the early running. Ian Scott was a suprise second place finisher while Gelston had transponder issues early but was finally beaten by stripped gears in his gearbox. This brings 2015 to a close, looking forward to agreat 2016 starting on Sunday January 17th. We have now added a Junior class to our lineup of RC classes available. Called Junior Sportsman TC it caters for our younger members utilizing the conventional Touring car style chassis and a control motor and gearing. We have already sucessfully held our first Junior races. For more information see our Touring car page. Some members of STMCC were recently joined at our track by Damien Peck, the Cross Media reporter for ABC 936 Hobart. This resulted in an On-Line feature and a broadcast audio piece. Thanks to Damien for his work on this piece. ​The link can be found below.